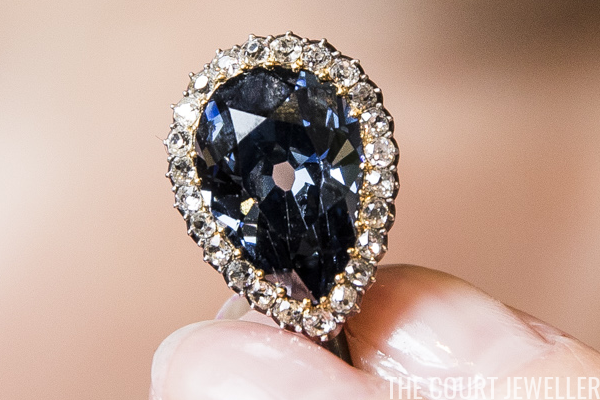 In the middle of all of last week's royal wedding hoopla, a major royal jewel auction took place at Sotheby's in Geneva. 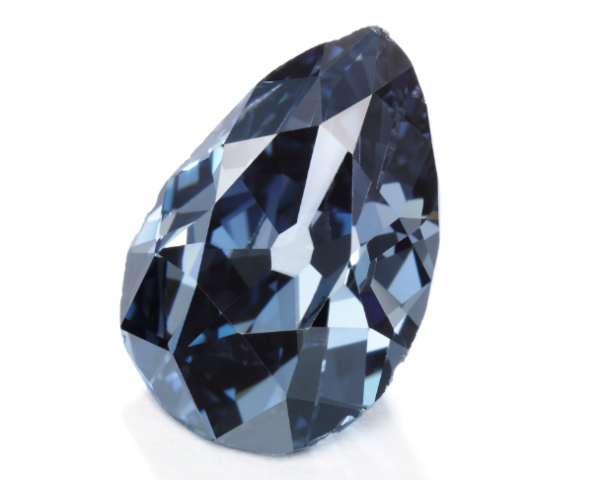 An important gray-blue diamond, the Farnese Blue, was sold after centuries in royal hands. 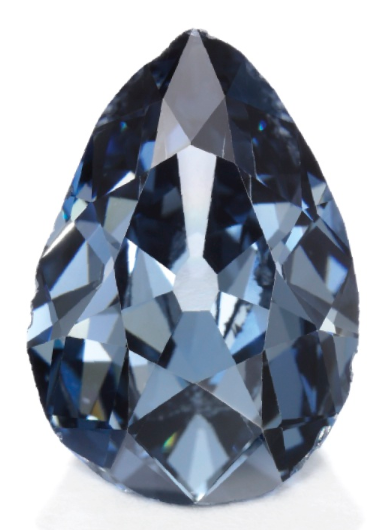 Sotheby's describes the stone as "a pear-shaped fancy dark grey-blue diamond weighing 6.16 carats." The rare diamond's first documented owner was Elisabeth Farnese, the Italian-born queen consort of King Felipe V of Spain. She received the diamond, which was mined in India, as a wedding present from Martín de Ursúa y Arizmendi, the Governor-General of the Philippine Islands, in 1714. 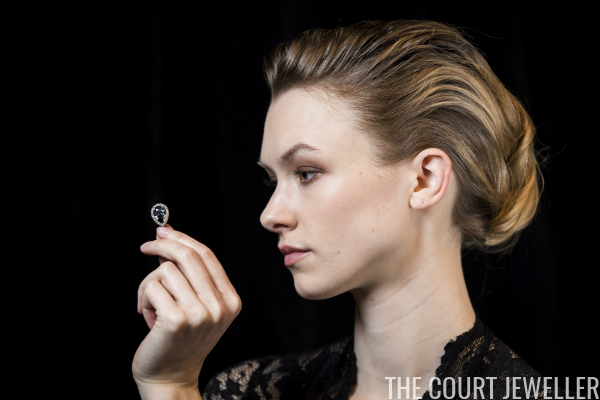 According to Vincent Meylan, who wrote the detailed lot notes on the diamond for Sotheby's, Elisabeth gave the diamond to her second son, Philip, who later succeeded his maternal grandfather as Duke of Parma. Philip was the creator of the House of Bourbon-Parma, whose members successfully married into numerous royal families over the past several centuries. According to Meylan, the diamond remained with Philip's direct line and was owned by successive Dukes of Parma, ending up in the collection of Elias of Bourbon-Parma, the youngest son of the last reigning duke. The diamond was offered for sale by "a princely family" from among Elias's descendants. The most recent royal owner is not named, but it's worth noting that Elias's last surviving daughter, Alicia, died in March 2017. Meylan's notes also include the tantalizing detail that the diamond was once set in a tiara. (This is according to the personal jewelry inventory of Elias's wife, Archduchess Maria Anna of Austria.) Today, the diamond is set in a detachable stick-pin fitting, where it is surrounded by a halo of collet-set cushion-shaped diamonds. 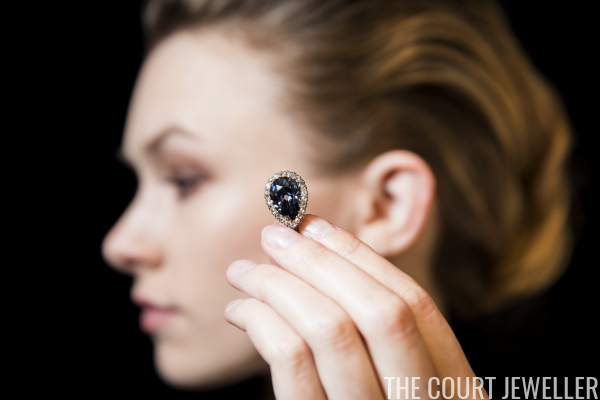 The auction estimate for the diamond was set between 3.5 and 5 million dollars, but when the hammer fell on March 15, an unnamed buyer purchased the stone for a whopping $6.7 million. The BBC quoted Daniela Mascetti, jewelry specialist from the auction house, on the sale: "Good jewels, well-designed, well-made, with a signature, with a perfect... slot in time, in age, do very well." A bit of royal provenance never hurts, either.